The open data economy – meaning public information and data shared from private sources – is already estimated to generate $3 trillion in economic value per annum globally (McKinsey, 2013). Global infrastructure for responsible, ethical data liquidity is still required to unlock the next wave of cross-border, data-driven growth. Regions around the world are approaching the data economy in different ways, with a few leading light markets asserting their position on how to remain competitive with data-driven innovation while still protecting consumer privacy. Get insight into the current data economy landscape in front-running markets around the world, and the extent to which they are harnessing the potential of the data economy. This whitepaper highlights the significant opportunities and challenges, and lays out how to maximise the scale of this once-in-a-generation industry transformation to facilitate safe, ethical cross-border flow of data and insight. Lynn manages Data Republic’s operations and growth in Singapore and throughout South East Asia, working with enterprise and governments to realise opportunities in the emerging data economy. An experienced technology and innovation executive, Lynn previously worked with Deloitte Digital and Firemark’s InsurTech Hub, responsible for launching and operating the emerging technology and artificial intelligence (‘AI’) hub. 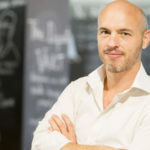 As both a serial entrepreneur and venture capitalist, Danny Gilligan is at the forefront of driving disruptive innovation in Australia’s financial services sector. Danny is co-founder of both Data Republic and Reinventure Group, as well as a founding director of Stone & Chalk, an independent not-for-profit Fintech hub in Australia. Danny regularly consults with government, technology and business leaders on data innovation policy. Want to talk to our team about data collaboration?